Savannah State freshman Myasia Jones announced on her Twitter page on March 29 that she was leaving the Savannah State women’s basketball team. Jones did not mention where she would transfer to but stated in the message that she was keeping all of her option open at this time. The Lavonia, Georgia native thanked her coaches and teammates and was grateful for the opportunity to be at SSU during the 2018-19 season. 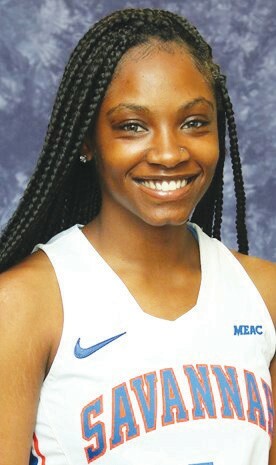 Jones’ play on the court did not go without notice as she was named the MEAC women’s basketball Rookie of the Year. The 5-foot-10 guard finished the regular season averaging 14.7 points, 4.7 rebounds. 2.3 steals and 2.2 assist per game for the Lady Tigers. She had a career-high of 28 points in games against Wesleyan and Georgia Southern. The SSU men’s basketball squad also expect to lost some players. Social media posts have juniors Tyrell Harper, Romani Hansen, Adam Saeed and Zach Sellers and freshman Collins Joseph adding their names to the transfer portal while possibly looking for new homes to play next season. Harper, a 6-foot- 7 Sanford, Florida native, spent one year at SSU after transferring from Dawson Community College. During the 2018-19 season, Harper led the Tigers in rebounds and was second in assists and steals. He averaged 9.2 points, 6.4 rebounds, 2.8 assists and 1.3 steals per game. Harper posted career highs against Coppin State (23 points and three blocks), Morgan State (13 rebounds and nine assists) and Florida A&M (seven steals). Hansen also played one season at SSU and joined the program after The 6-foot-8 St. Croix, USVI native who wants to play his final collegiate season at another Division I school, averaged 9.5 points, 5.5 rebounds and one assist for SSU last year. He led the team with 27 blocks, tied for the team lead with 67 made free throws and shot 44 percent from the field. Hansen had a career-highs of 20 points against Morgan State and 11 rebounds against Delaware State. The 6-foot-6 Saeed finished the season averaging four points and 1.1 rebound per game. The Chicago native scored 24 points in a win over Tennessee Tech this past season. Sellers, a 6’1” guard, spent three years with the program. This past season, the Cheraw, South Carolina native averaged 12.4 points, 4.2 assists, 2.4 rebounds and 1.3 steals per game. His best games of the season came against South Carolina State (29 points), Delaware State (eight rebounds), Wisconsin (eight assists) and North Carolina Central (four steals). Joseph finished his freshman year at SSU by being named to the MEAC All-Rookie Team. A native of the Virgin Islands, Joseph had 21 points against Vanderbilt and knocked down six 3-pointers against Texas A&M. On the season, he averaged 7.8 points, 2.2 assists and 1.6 rebounds a game. Kim Miller, Ph.D. has joined the Savannah State athletic staff as the new Associate Athletics Director for Compliance/Academics. 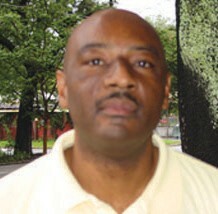 Miller replaces Julius Scott who took a similar position at Norfolk State. 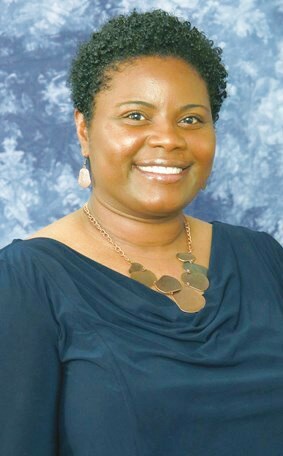 Miller comes to Savannah State from Elizabeth City State where she served as Assistant Professor/ Coordinator of the Sport Management Program (2018-19). Before that, Miller was at Livingstone, from January 2018-June 2018, where she was Associate Athletic Director/Associate Professor for Sport Management Program for Accreditation.